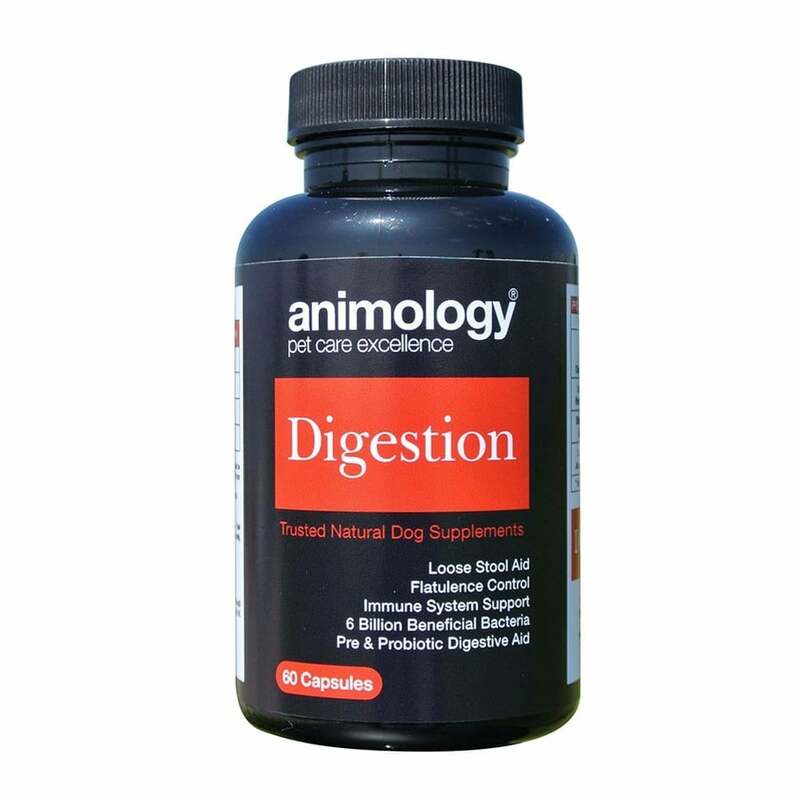 Animology Digestion Capsules have been specifically developed using essential ingredients to provide targeted support to your dog’s immune system and digestive health. These capsules have both probiotics and inulin to help restore the natural balance of bacteria in the gut, and help contribute to normal bowel function. Suitable for dogs from the age of 2 months old. These supplement capsules can be given to you dog whole, or pulled apart, emptied and mixed into your dog’s food or water.